"Vote now for the 2015 MTV EMA!" 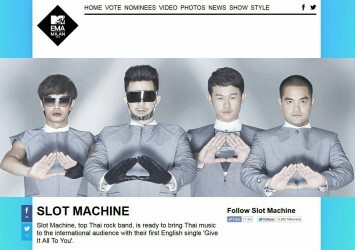 Slot Machine has been chosen to be one of the nominees in the categorie of Best Southeast Asia Act of 2015 MTV EMA for the 3rd time. So get your vote on from now until 11:59PM CET on 24 October - the night before the 2015 MTV EMA airs live from Milan, Sun 25 October at 9pm CET. Go to the Vote section of mtvema.com and tap like you mean it your favourite artists are counting on you to represent for your fandom!